A huge thank you to T-Mobile for being IGNITE's 2019 Community Service Award winner, for their generous donation of $50,000 and sponsorship of IGNITE's Seattle Gala! Special thanks goes to this year's Seattle Gala keynote speaker: Elizabeth Hunter, Senior VP of Technology Strategy Implementation at T-Mobile . 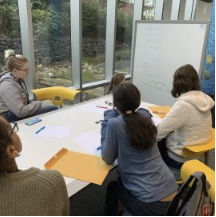 Thank you, Elizabeth, for your endless support of IGNITE and dedication to inspiring girls in STEM! 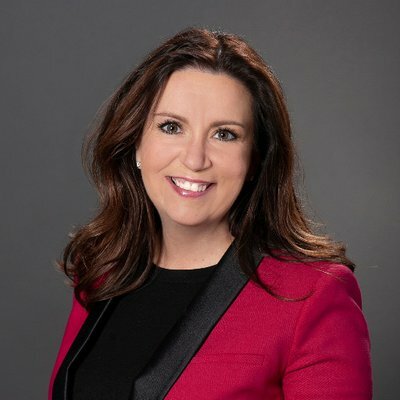 I want to take this opportunity to personally thank Elizabeth Hunter, Senior VP at T-Mobile, for her incredible support and passion for IGNITE Worldwide. Her initiative is behind the most generous and largest contribution IGNITE has received to date. T-Mobile has contributed 50,000 dollars and become our top corporate sponsor. 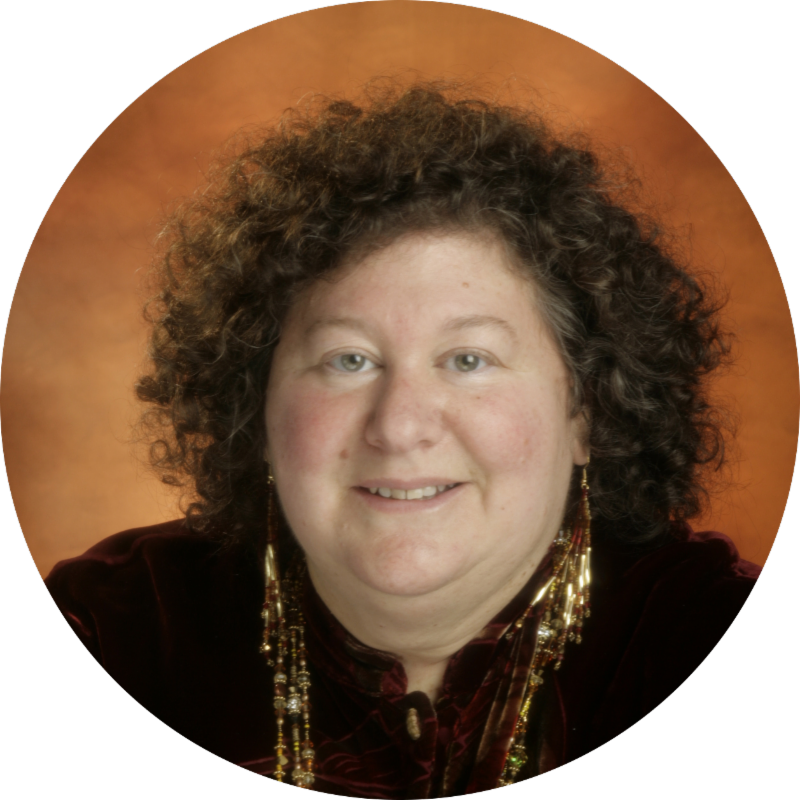 She is someone we are so fortunate to have as our Strategic Adviser and IGNITE Hero. She will also be accepting this year’s IGNITE Community Service Award, as our presenting sponsor for our annual Spring Gala, where she will be giving this year’s keynote. Elizabeth inspires me each day to be my best, to give girls an opportunity to be their best, and to raise the bar for all of us to achieve all we can as women, so the next generation can look at us and say, 'she did it and so can I'. You can now buy your tickets to the biggest and best IGNITE SPRING GALA TO DATE ! The evening will be packed with fun. Our inspiration keynote, Elizabeth Hunter! IGNITE students share their own stories of inspiration. IGNITE alumni share why IGNITE has changed their lives. An inspiring evening for everyone. Buy your tickets early! Best auction ever! Thank you to everyone who supports IGNITE Worldwide, on behalf of girls. Gmail user? Don't miss IGNITE's emails! We've received feedback that IGNITE's emails, specifically volunteer opportunity emails, land in the Promotions folder for Gmail users (see image below) . Please remember to check your Promotions folder, or create a filter for 'IGNITE Worldwide <becky@ignite-worldwide.org>' and choose, 'Categorize as: Primary'. This way, you will always receive important emails from IGNITE directly in your inbox. January was a smoking hot time to be involved with IGNITE! 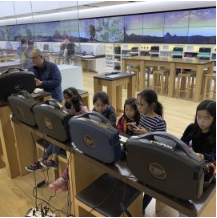 Pixar joined Alaska Airlines and Microsoft as a live auction sponsor of the 2019 San Francisco IGNITE Spring Gala . We are excited to start our first IGNITE chapter in Oakland with Pixar's support! We have exciting live auction items including an Alaska Airlines Loreto Bay Luxury Home vacation, an exclusive tour of Pixar Animation Studios, a Camp Concierge Service, a professional photoshoot package, and more! We are so excited to hear from our experienced IGNITE supporters and keynote speakers Charu Jain, VP CIO, and Annabel Chang, VP Bay Area, at Alaska Airlines. The entire fabulous evening will be hosted by Sara Stinson and Ashley Zalavara, KRON-4 TV Reporters! The Gala is from 6-10pm on Thursday, March 21st at the Scottish Rite Center in San Francisco. Buy your ticket today! Early bird pricing ends March 1st. 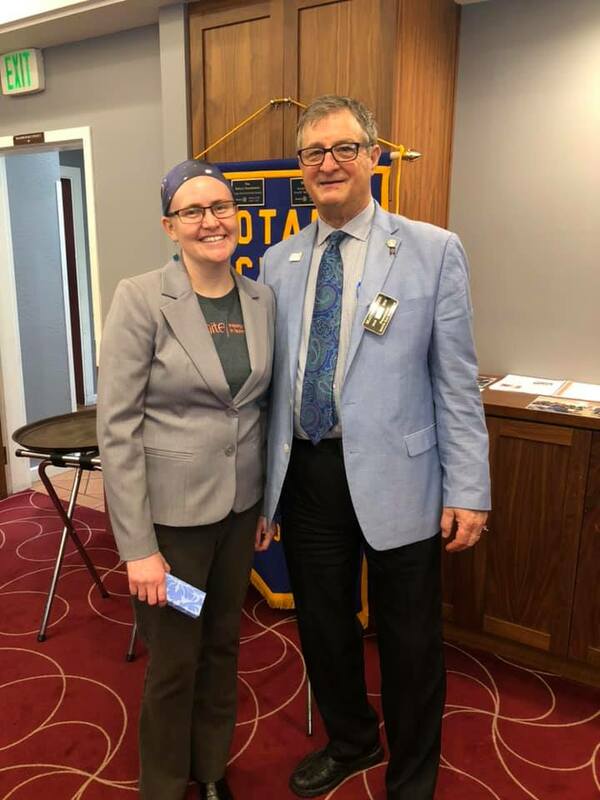 This past month, IGNITE also presented at Rotary Club South San Francisco to ask for support in opening more chapters in the area. Rotary is excited to support IGNITE in South San Francisco! 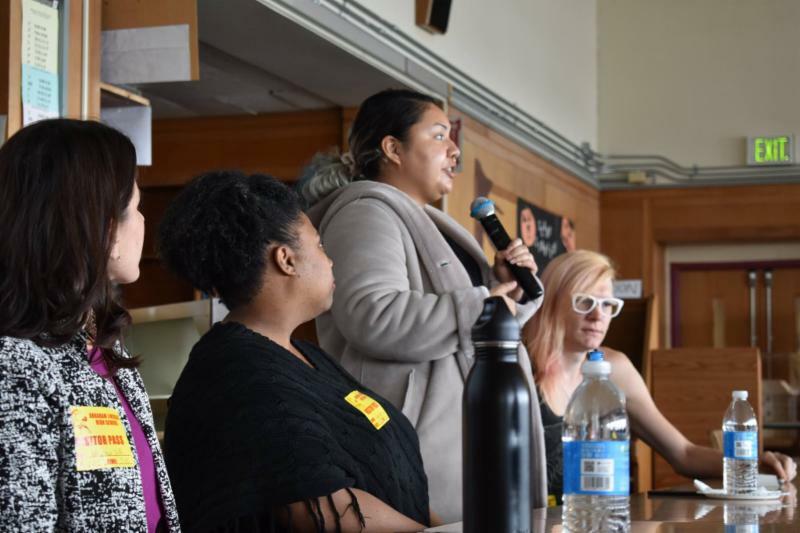 Two weeks ago, 4 women working in digital media told their educational and professional stories with 44 Lincoln High School students on January 17th on an IGNITE Panel. Students engaged with the professionals and asked some great questions and got valuable practical advice and encourage to join the Digital Media Academy at Lincoln High School. Check out our superstar panelists! I'm so excited to celebrate such a successful year inspiring girls together. I'll see you at the Gala on March 21st ! 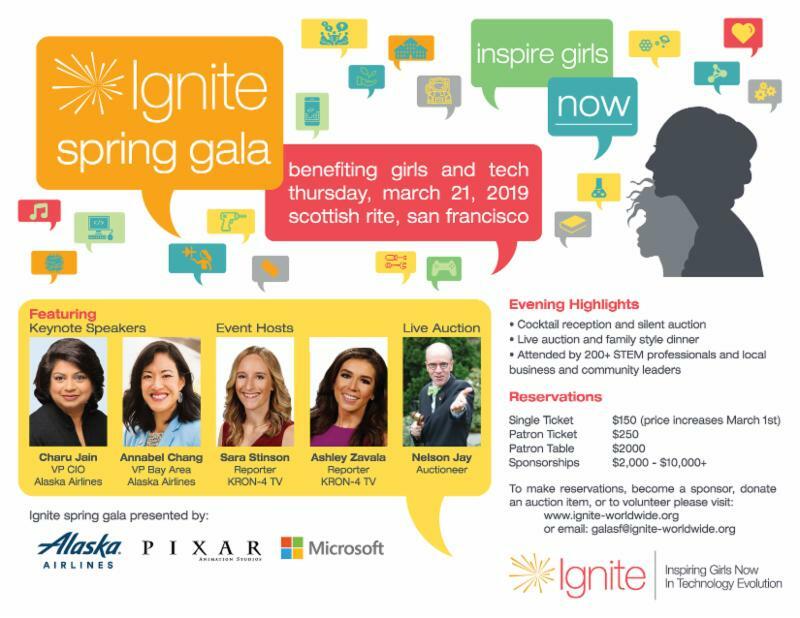 S upport IGNITE in California by attending our Spring Gala in San Francisco on March 21st, 2019! Read more details here. 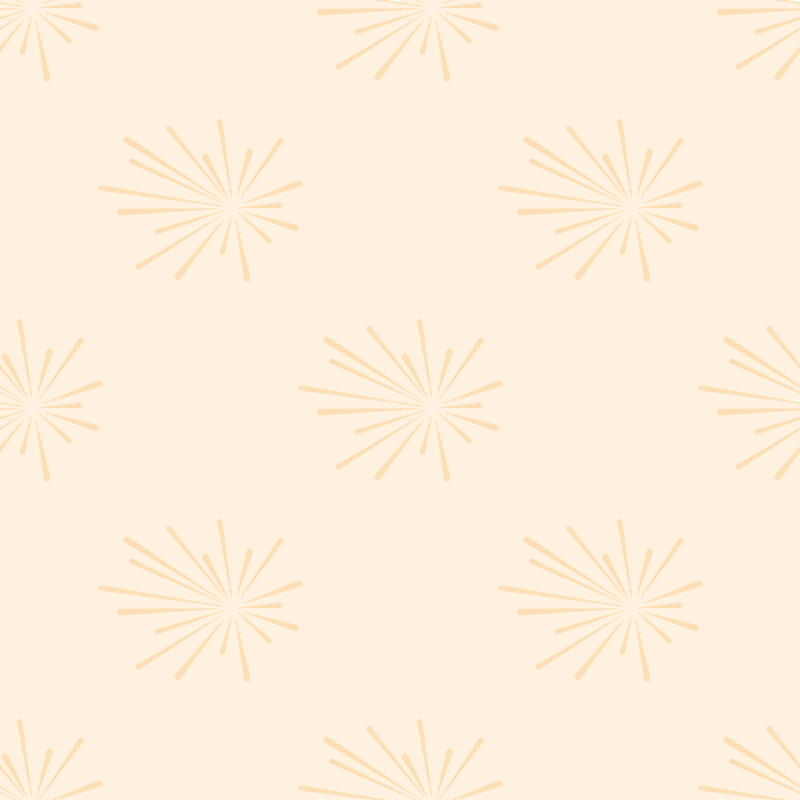 We are thrilled to announce the 2019 IGNITE Spring Gala! The event will take place on May 4th at the Showbox SODO in Seattle. 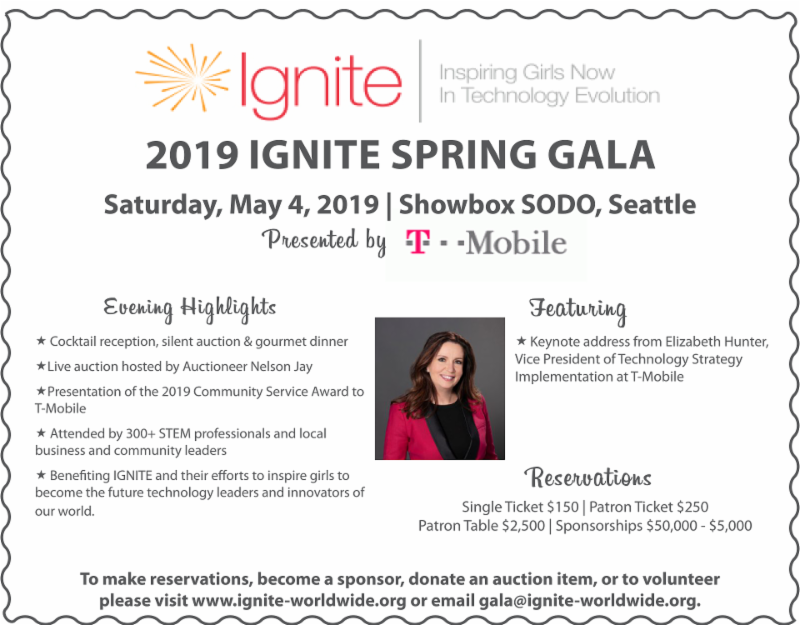 Click here for details on the Seattle 2019 IGNITE Spring Gala including ticket and table sales, auction item donations, and sponsorship. 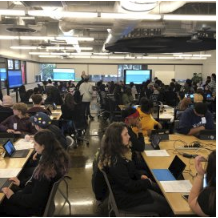 On January 17th, female and non-binary students from Nova HS, Hazen HS, and Franklin Pierce HS attended the Microsoft Coding workshop. 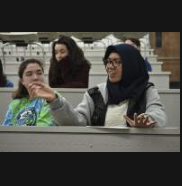 On January 17, Talley High School in the Renton School District launched its IGNITE chapter with a inspiring panel of women in STEM careers! “The event inspired me to push further into my dream career." 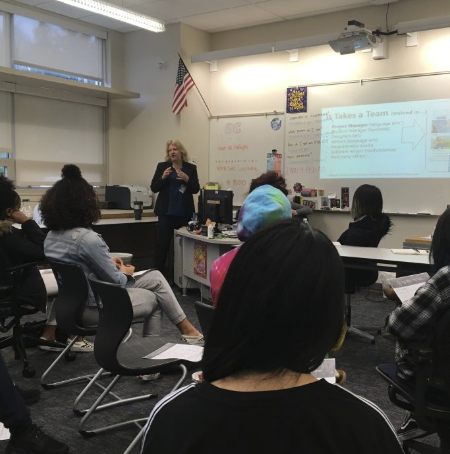 On December 19, 2018, Hazen High School’s Chapter of IGNITE hosted five IGNITE Panel Speakers. Students had the opportunity to hear panelists share their stories, success, challenges, and pathway to careers. 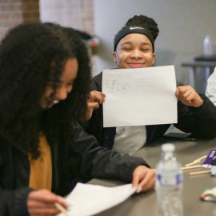 What does this volunteer opportunity with the Washington Future Business Leaders of America involve? Watch this short video from FBLA to learn more. Sign up to become a judge at the Washington FBLA State Conference here. Please email becky@ignite-worldwide.org to sign up to volunteer at either event.